Angie grew up in southeast Iowa and attended Goshen College in Goshen, Ind. During her college years, she worked full time for WFRN-FM and WCMR-AM in Elkhart, Ind. as an on-air personality and later as a news reporter. After graduation, she joined B100’s sales department in South Bend, Ind. In 2000, Angie moved to northeast Nebraska to help start Flood Communication’s US92 radio station. Angie believes in success through service. Her philosophy is evident through her tireless volunteer work. Angie helps with the annual St. Jude Children’s Research Hospital Radiothon. She gives to people in need during the holiday season by volunteering for the Christmas Wish committee. Angie also serves as volunteer coordinator for the Laugh-and-a-Half-Marathon, which raises money for pediatric needs in northeast Nebraska. Angie is the current board chairperson of the Norfolk Area Chamber of Commerce and has been a Chamber Ambassador for 16 years. She also serves on the Big Bang Boom committee as the production chairperson. Additionally, Angie was a founding committee member of the American Heart Association “Go Red For Women.” She also served on the For the Girls committee, a local organization that fights against breast cancer. Angie is a past president of the Norfolk Noon Kiwanis. She has also volunteered for the Norfolk Art Center, Norfolk Community Theatre, Big Brothers/Big Sisters and the United Way. 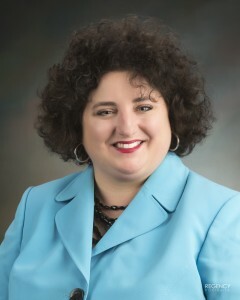 In 2016, Angie was appointed by Governor Ricketts to serve on the State Records Board. Angie is married to Jeremy Stenger. They have a daughter named Josie. In her free time, Angie loves cooking, traveling and spending time with Jeremy and Josie.